Zombie Apocalypse? Dead Ebola Patients Resurrect Right Before Funeral – The US Military Is Training To Fight Against It. Walking Dead? Night of the Living dead? No, not exactly. But definitely something VERY strange. 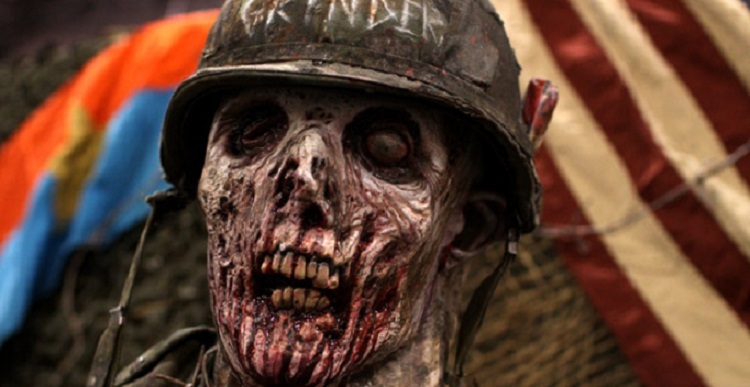 According to a report from The New Dawn Liberia, people are ‘rising from the dead’. Two Ebola patients, who died from the virus in separate communities in Nimba have reportedly resurrected in that county. The victims, both females believed to be in their 60s and 40s, died of the Ebola virus recently in Hope Village Community and the Catholic Community in Ganta, Nimba. But to the amazement of residence and onlookers on Monday, the deceased reportedly regained life, putting that community in total disbelief. The New Dawn Nimba County correspondent said that the late Doris Quoi of Hope Village Community and the second victim only identified as Ma Kebeh, said to be in her late 60s, were about to be taken for burial when they resurrected. The supposed “resurrection” has reportedly created panic in residence of Hope Village community and Ganta at large. Some are rejecting the newly resurrected as ghosts who shouldn’t live among them. According to the New Dawn, this is the first known occurrence of Ebola Zombie-ism. How far off is this idea of a Zombie Apocalypse? You may think, “No way! This would never happen!” If so, why is the Department of Homeland Security holding first responder seminars in San Diego, California preparing for this very thing? It was an event held by the Department of Homeland Security and deemed an allowable expense, enabling participants to use federal grant funding to pay their way. The Department of Homeland Security is spending money on teaching first responders how to stop flesh eating ghouls. 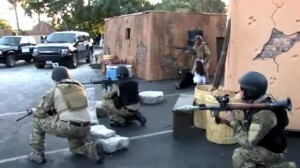 The report said the event was held by the HALO Corporation, a five-day summit that was deemed an allowable expense by DHS, permitting first responders to use grant funds for the $1,000 entrance fee.